need. The same forms are used for either the free evaluation or the cleanroom evaluation. For a free evaluation, simply check the appropriate box on the second sheet. These are provided here in the Adobe Acrobat format. 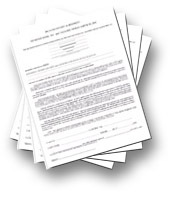 Once you have the forms printed, complete them and send them to us with your drive. If your drive is already in the shop you may fax the forms to 1-800-861-8069. There are two forms in this package. The first will establish the terms of the contract between us. The second form will enable you to provide a summary of your data loss event. Should you have any questions, please email or call with your concerns using the information on our [Contact Us] page. if you do not currently have the utility installed.